First of all download the script and Upload it to your web hosting file manager. Now again set the same database to Sameel >> config.php. Now again set the same database to submitcookie.php file. Now Run the Vip.sql and Table.sql files in PhpMyAdmin of your database. All is Done !!!! Your site will be created and the users can submit their cookie directly by them. So guys i hope you will like this script so please support our Blog and Like Our Facebook Page and Dont forget to Subscribe Our YouTube Channel, Stay Blessed. Brother, On the first time you have to manually import the cookies of an instagram account generated By xampp Software. Bro, Try to first import the cookie of an account generated with xampp. 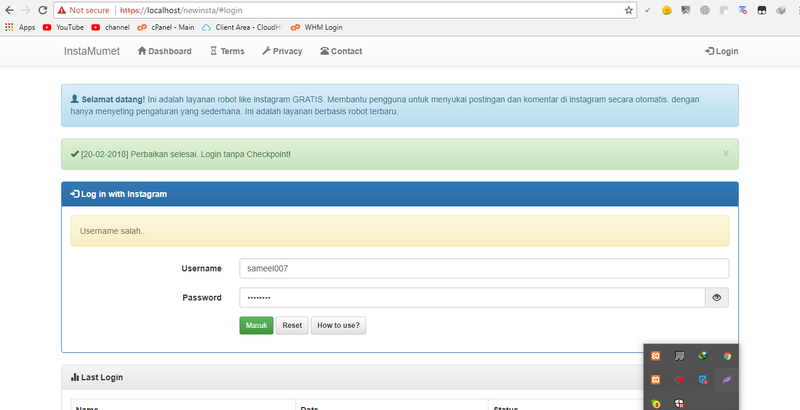 First You have to generate a cookie from xampp app and then go to the instagram table of your database, download the cookie which you had generated through xampp and now you have to go to the sql of your live public instagram website and run in the sql. 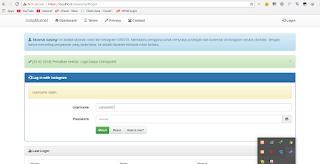 Please upgrade your script, here this post from you..
Ok Bro, I will Upload the new Script with Cookie Option, But i have uploaded my own design cookie script. Have a look at this. Which One You want? Facebook or Instagram? first time You have to import cookies from xampp. Had you Import the cookies from localhost database to your live server's database? how i get the cookies from localhost? can you create video tutorial of this script? Bro put your instagram script in htdocs folder and set the local host database in it, now load your local host site through loading this link in your browser, localhost/scriptfoldername, then login with your instagram account and go to localhost/phpmyadmin and visit your database that you had created, go to instagram table and get your user cookies, thanks. You should Change Your Web Hosting.